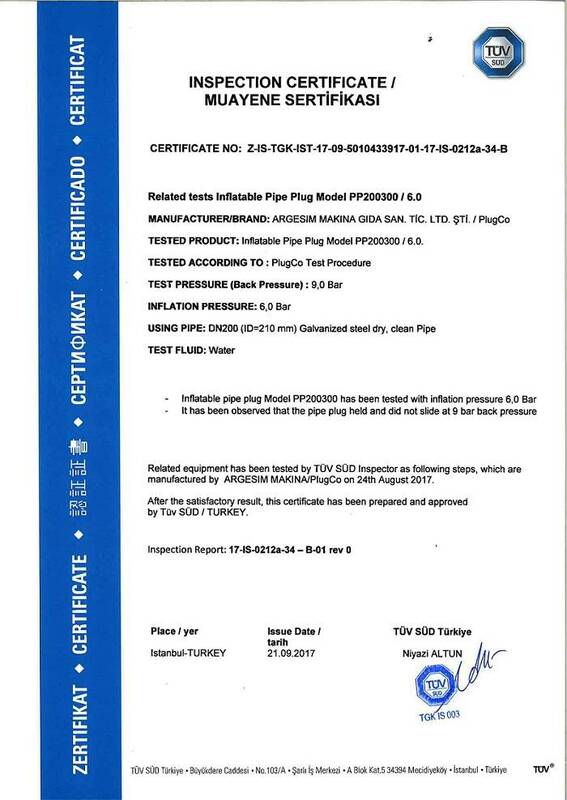 To show the quality and durability of the PlugCo Products, Hydrotest have been completed successful and witnessed by inspector authorized by TU-SUD and. In this way quality of the product have been approved. 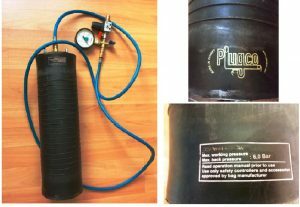 Inflatable pipe plug Model PP200300/6.0 bar have been inserted into the DN200 pipe. It has been inflated max. 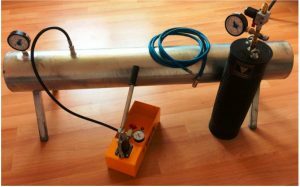 inflation pressure 6.0 bar by water. The water has been used for inflation because of high inflation pressure. The test area (back of the plug) have been filled by the water at pressurized 9,0 Bar (back pressure/test pressure) and wait for 15 minutes. 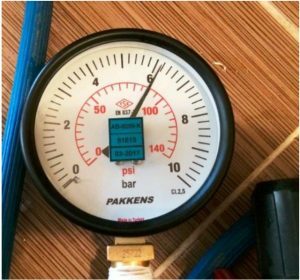 Since, there is no any leakage or any pressure drop or any sliding, the test was completed successfully under 9,0 Bar back/test pressure. 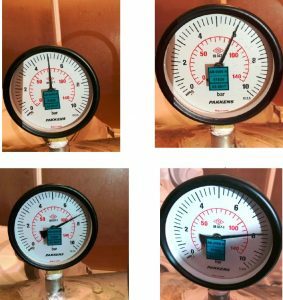 The test pressure gradually was increased up to 9 bar back pressure and no any leakage or any pressure drop or any sliding have been observed.